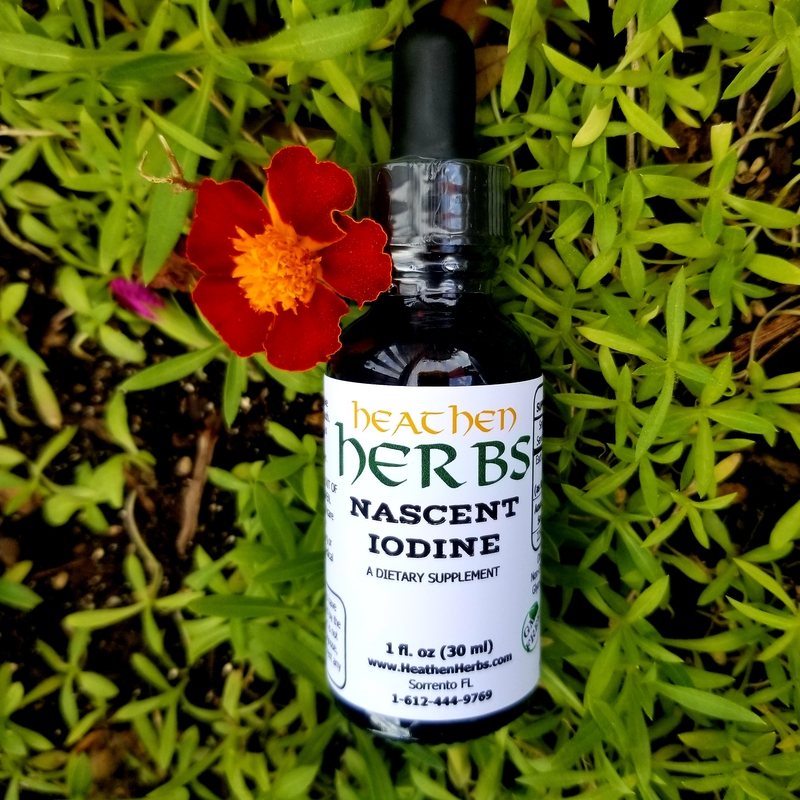 Nascent iodine is a supplemental form of iodine. Iodine is an essential mineral that the body requires for normal function because we do not produce it on our own. The high energy state of nascent iodine makes it a popular iodine supplement, compared to forms where the iodine bonds with potassium or sodium. A defining characteristic of nascent iodine is that it is atomic, with an incomplete number of electrons, which gives it a negative electromagnetic charge. For this reason, nascent iodine is sometimes referred to as atomic iodine, monatomic iodine, or atomidine. Iodine is necessary for metabolism and thyroid function. Iodine helps your brain stay sharp. Iodine protects the body from toxins. Iodine protects you from radiation. Iodine is a natural antiseptic. Iodine is a powerful antioxidant. Iodine helps prevent hair loss. Iodine maintains strong teeth and bones. Iodine helps stabilize your mood. *Dosage Suggestion: Take 3 drops in water. Use once daily or as directed by your healthcare provider. 1 fl. oz. amber bottle with dropper. New to me. Feelin good after a few days. Noticeably better sleep and less groggy upon waking. Great product! Just started taking this and I feel an energetic boost. I’ve suffered from jawline acne throughout most of my adult years. I’ve always suspected it was a thyroid issue, so I decided to give this a try. 3 days after taking it, about 90% of the acne outbreaks stopped. Great stuff. I am thrilled to have found a reputable source for iodine! Historically I am not good with supplements, but this one seems to call out to me, so I keep taking it. I will be upping my dose soon to help detox the zog fog that paints the sky almost daily. Thanks again! This product is superb! It definitely enhances energy levels. Thank you.